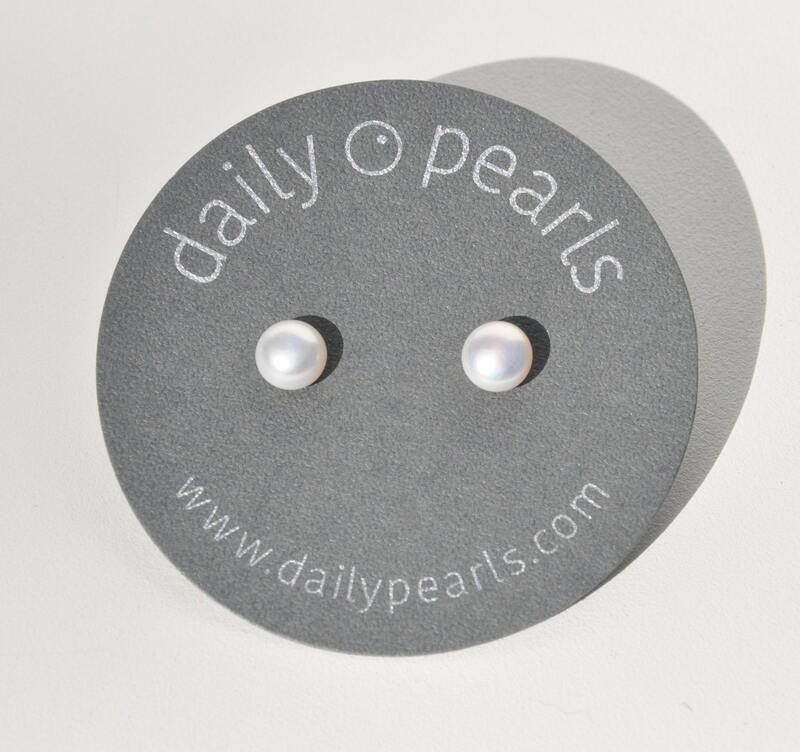 These are the second smallest pearls available from Daily Pearls. 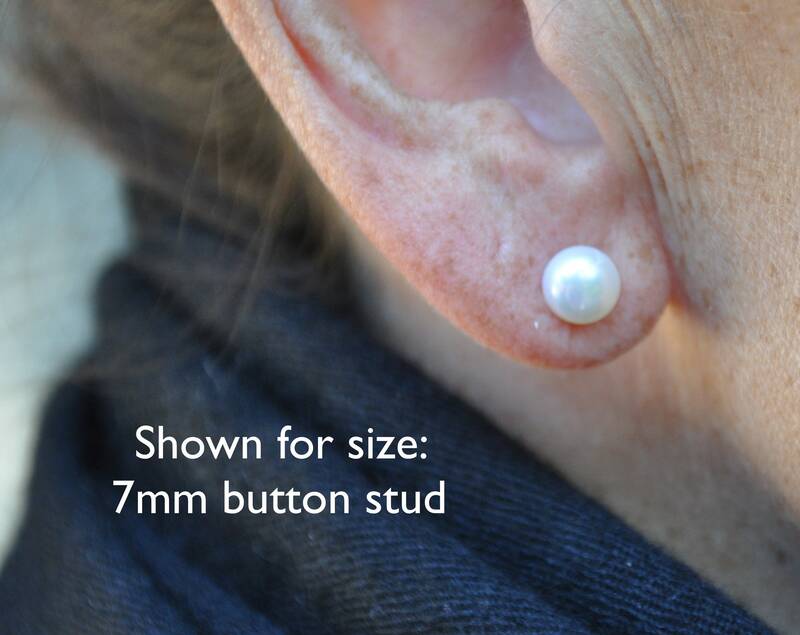 They are small enough to be worn by a little girl, or in the second hole on a woman’s earlobe. They are also a good size for times discreet earrings are required. In white, they are traditional and elegant. The photos above include an example of a 7mm stud on the ear. The earring are made of freshwater pearls, and the posts and butterfly backs are sterling silver. If you don't see exactly what you're looking for, please get in touch with us. We have a number of studs that aren’t listed, and will be happy to send you photos. To keep your pearls looking their best, they should be the last thing you put on and the first thing you take off. Avoid getting perfume, hairspray, lotion, or any other chemical on them, and wipe them off right away if you do. Keep them out of water, where hair products, chlorine, or salt water could dull or discolour them. Water can also weaken the bond between the pearl and the post. 1) Almost every real pearl on today's market, regardless of variety, is “cultured.” A cultured pearl is grown in an ocean or a lake, and develops around a nucleus or irritant which is placed in an oyster or mollusk. The final product is created by nature, albeit with man’s help. 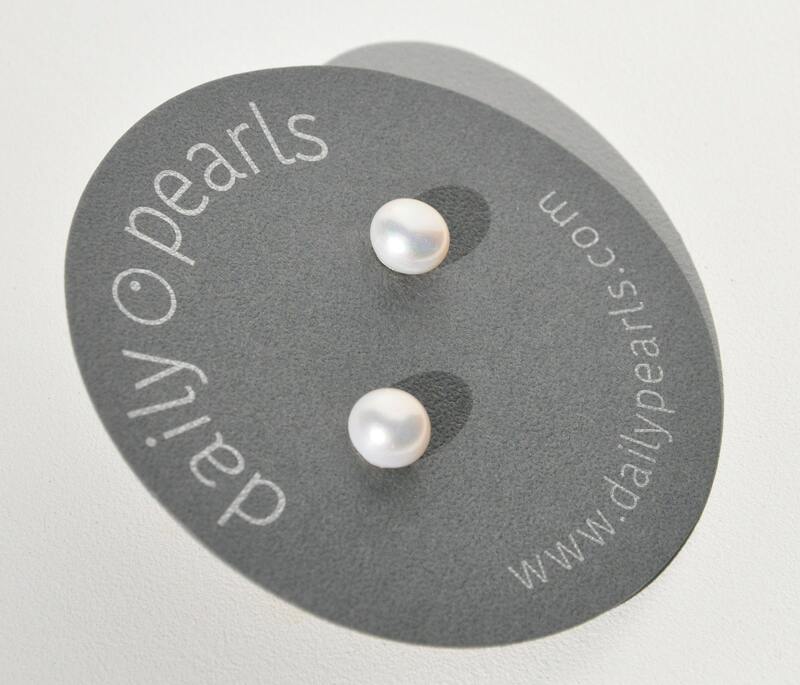 2) “Natural” pearls are pearls that have been found in oysters. Natural pearls found today sell for tens of thousands of dollars. Many natural pearls on the market are in antique pieces, and come with gemological x-ray certification. 3) The highest-priced cultured pearls are cultured in seawater, and there are three main varieties: Akoya, Tahitian, and South Sea. Akoya pearls, grown off the coast of Japan, were the first saltwater pearls to be cultured, and became the "classic" pearls your grandmother might have worn. Tahitian pearls, which are grown around Tahiti, grow naturally in shades of grey and black, and were developed in the 1970s. South Sea pearls, grown in the Southern Hemisphere, were developed more recently, and are considered by many to be the most desirable pearls. 4) Daily Pearls makes jewellery from cultured freshwater pearls, which are the most affordable variety of cultured pearls. China produces most of the world's freshwater pearls, many of which are unusually shaped, or "baroque." 5) Plastic or glass imitations of cultured pearls are called “simulated” pearls. 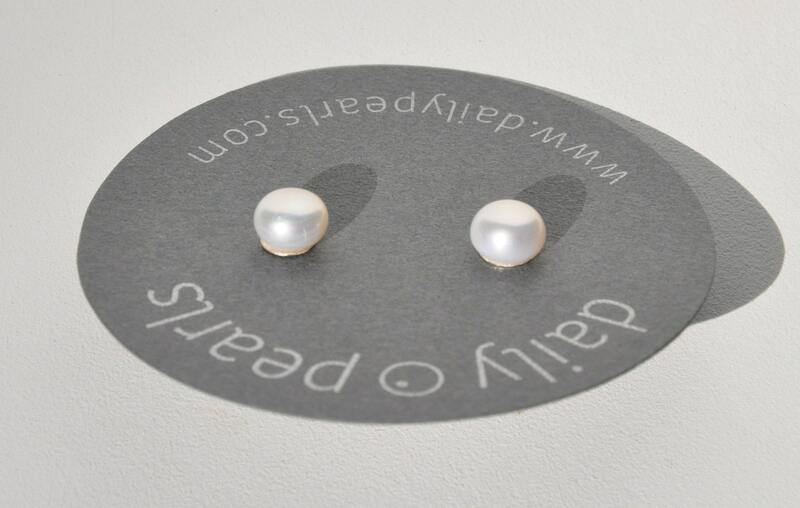 You can tell the difference between cultured and simulated pearls by touching one to the top of your bottom teeth. If it feels gritty, the pearl is real. If it feels like plastic or glass, it is not a cultured pearl. 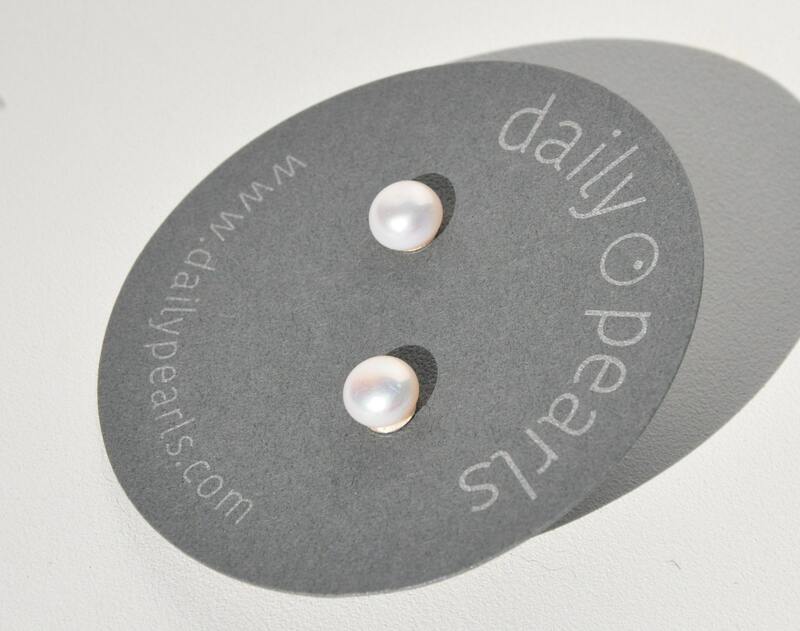 Let us know if we can help you with your pearl shopping!